Yesterday was our birth mom's 32 week appointment. We missed the 30 week appointment completely, so I was very relieved to get there and find out that everything is going well. The baby is measuring on schedule, the birth mom is healthy and doing well, and the doctor is pleased with all of it. Our birth mom had an ultrasound at some point before we met her, because she went into the emergency room and needed to make sure everything was alright. However, that was the only ultrasound her insurance would pay for. I asked the doctor yesterday if her file would have any photos from that, and he said that he only had the report, no photos. Then he suggested that we do the 3D ultrasound and do it quickly because she was approaching the time when it would be too late to see the baby clearly. We asked the lady at checkout if we could do it then and she squeezed us in. I can say honestly that this is the only ultrasound I have ever gladly paid for. 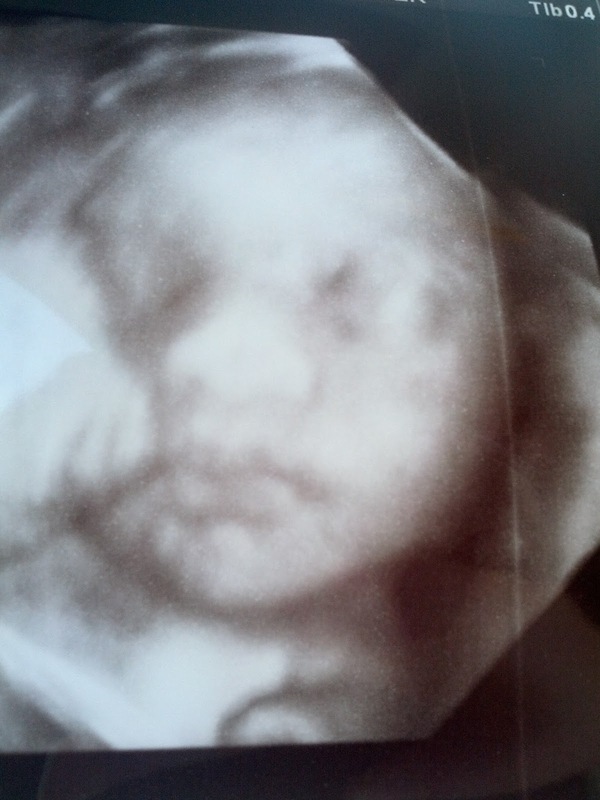 We went in to the ultrasound room and I got to see our baby for the first time. I got to see the beautiful little face and it made me so excited for bringing our baby home. Really the best part was that I didn't think we would ever see the baby before birth. I finally realized that it is a real baby. SuperBaby even looks like a baby. This is our baby. Look at his little face! And his little nose! Aaaaahhh!! That must have been so exciting! Such a sweet face! Aww. So precious. This must be so exciting! Superbaby is so cute!!!!! I can't wait until he/she is born! !